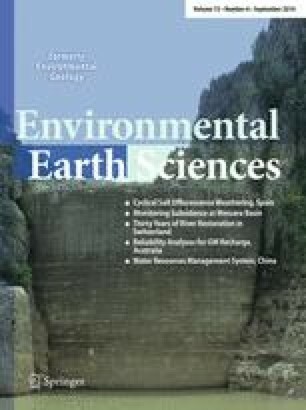 In this study, we collected radiation and active layer temperature data observed in the northern Qinghai–Xizang Plateau during the period 2006–2008 in order to analyze the impact of surface energy balance on the thawing process of the active layer. Results show that surface energy exhibits an obvious seasonal variation. The largest values of energy variables including global radiation, net radiation, soil heat flux and surface heat source intensity occur during June and July, while the smallest values occur in November and December. The active layer is generally dominated by an endothermic process. During the freeze–thaw period, the variation process of the active layer temperature is similar to that of surface energy. The seasonal thawing depth is closely related to the process of surface energy exchange. During the thawing period, seasonal thawing depth gradually increases as more solar energy enters the surface. When the surface energy accumulation is 0.0 MJ m−2 d−1, the seasonal thawing depth is the smallest. The seasonal thawing depth gradually increases with further accumulation of surface energy. Thus, the variation processes between the surface energy and seasonal thawing depth can be expressed by a power relation. The values of seasonal thawing depth calculated with the empirical relationship provided in this study agree well with the observed values. The relative error between calculated and observed values is less than 12 %. These results show that this empirical relationship can be successfully used to describe the behavior of active layers. The authors also sincerely thank Miss Lynn Everett for her revising the language of this manuscript. This study was funded by National Major Scientific Project of China “Cryospheric Change and Impacts Research” (2013CBA01803), the National Natural Science Foundation of China (41271081, 41271086), the Hundred Talents Program of the Chinese Academy of Sciences granted to Tonghua Wu (51Y251571), and the Fund of the State Key Laboratory of Cryospheric Science (SKLCS-ZZ-2010-03).